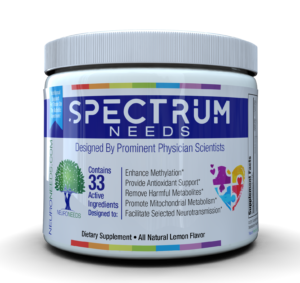 SpectrumNeeds™ contains 33 active ingredients, which provide a wide basis of metabolism for individuals, including those with neurodevelopmental disorders. Click each of the tabs below to learn more! Who Is SpectrumNeeds Designed for? 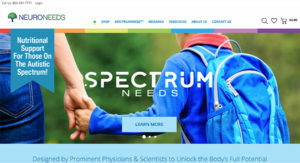 SpectrumNeeds™ takes into consideration that children on the autism spectrum often have diets that are deficient in many nutrients shown by low levels in blood or hair; This is WHY our product contains the following nutrients: biotin, choline, chromium, folate, magnesium, manganese, molybdenum, pantothenate, pyridoxine, selenium, thiamine, zinc, and vitamins B12, C, D3, and E.
SpectrumNeeds™ takes into consideration that a standard multivitamin supplement may not always be absorbed and utilized, This is WHY SpectrumNeeds™ offers the active form of the vitamin in a bioavailable product: activated vitamin B6 as pyridoxal 5-phosphate, activated folate (B9) as 6S-5-L-methyltetrahydrofolate glucosamine and calcium folinate, and activated vitamin B12 as methylcobalamin. 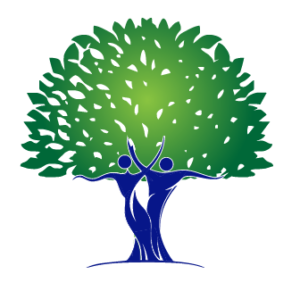 SpectrumNeeds™ takes into consideration that not everyone is the same; This is WHY the dosage of SpectrumNeeds™ is tailored to the nutritional management of neurodevelopmental disorders, as well as to a person’s weight. SpectrumNeeds™ takes into consideration that the quality of vitamins and supplements is important; This is WHY SpectrumNeeds™ is manufactured in the United States at a highly regulated current Good Manufacturing Practices (cGMP) facility. There are several studies demonstrating improvement in children with autism, ADHD and related neurodevelopmental disorders using various nutritional approaches. The clear majority of research using nutritional approaches support the opinion that nutritional supplementation demonstrates promise in the treatment of these conditions. Click here for more information regarding the science on the NeuroNeeds website. A main obstacle has been that there are MANY nutrients that are important for neurodevelopmental disorders. In particular, mitochondrial dysfunction is present in at least one-half of individuals with autism, and is also common in the related conditions. However, the “mito-cocktail” alone entails taking a lot of different products, with many families on 10 to 20 or more different supplements!. My patients generally improved on mito-cocktail, oftentimes substantially so, but providing multiple different products is difficult on the child and parent, and expensive. Thus, I designed SpectrumNeeds in order to provide 20 different ingredients of the mito-cocktail in a single product. I also added in several additional nutrients that are often helpful in these conditions, as they are neuro-protective and/or promote methylation, neurotransmission, and other important functions. Click here to see the list of 33 ingredients on the NeuroNeeds website. Click of any of the nutrients in the left-side column to learn more about that nutrient and why it is in SpectrumNeeds. Click here to see learn more about the use of SpectrumNeeds in mitochondrial disorders on the NeuroNeeds website. Scroll down to and open the penultimate Frequently Asked Question. However, as for any supplement, it is recommended that you contact YOUR physician regarding SpectrumNeeds™ and all other changes to disease management. No pills to swallow. Simply mix Spectrum Needs with your child’s favorite beverage. Kids generally love the taste of SpectrumNeeds, a powder that has a citrus-like taste and mixes great with orange juice and many other beverages. Disclosure: Dr. Boles is the Chief Medical & Scientific Officer for NeuroNeeds LLC, the start-up company that makes SpectrumNeeds™. As such, he may receive financial compensation based upon the success of the company. You are under no obligation to purchase this or any product, whether recommended by Dr. Boles or another health care provider. Visit NeuroNeeds.com for more information, or Click Here to go directly to the Neuro Needs store!